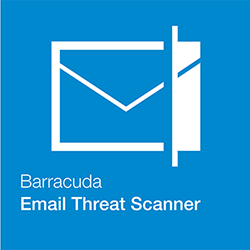 Over 200,000 businesses use Barracuda's solutions to protect against cybersecurity threats. Run a free scan of your web facing application. Scan for web application security flaws such as those on the OWASP Top 10, including SQL injection, cross-site scripting and others. Get a comprehensive report with remediation recommendations to protect your web applications from cyber threats. The report seamlessly integrates with the Barracuda Web Application Firewall for end-to-end detection and remediation. No installation and easy to use - you do not need a Barracuda Web Application Firewall to run a scan. Getting started is easy! Fill out this form to get a full-featured version of Barracuda Essentials FREE for 30-days. No credit card is required. Questions? Contact us!